This is a cartoon of a very sophisticated and well-educated gorilla named Professor Hypotenuse. 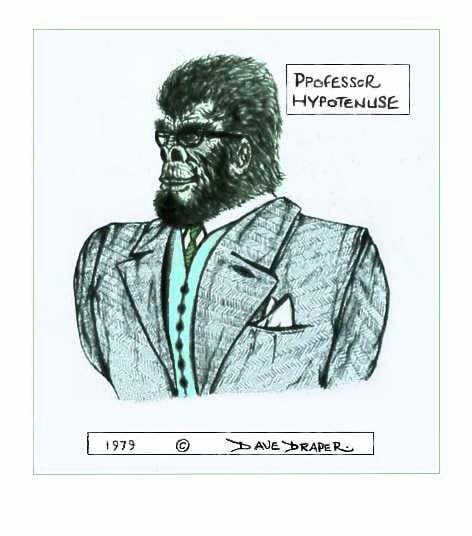 The drawing of this genetically engineered gorilla was scanned in to my MacBook, enhanced in PhotoStudio and is located under Caricature, Fantasy and Portrait. Made in coloured-biro in 1979, it was part of a gallery of spoof characters. Randomly determined; having a random probability distribution or pattern that may be analyzed statistically but may not be predicted precisely. • Zoology: of or relating to the group of higher primates, which includes monkeys, apes, and humans. • Zoology: [of an ape] belonging to one of the families of great apes. A higher primate, esp. 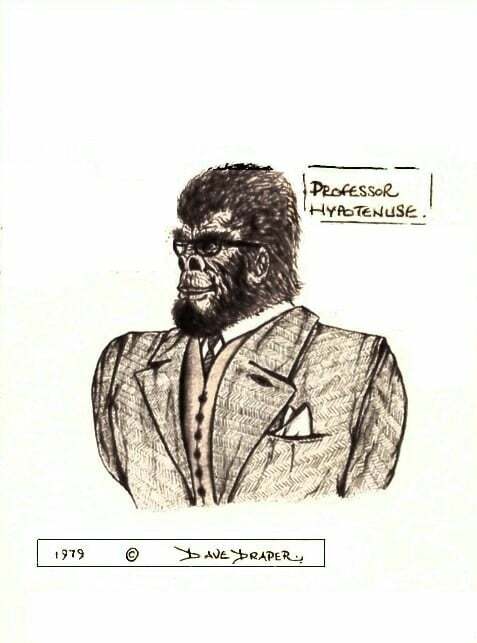 an ape or apeman. • Suborder Anthropoidea, order Primates. I have set a slideshow titled, A Gallery of Gorillas, depicting four views of Educated Apedom. For further literature on genetically enhanced anthropoids, see Orangoid, Located in the Writing section of this Website under Stories. See also Gorilloid, located under Portrait and Wildlife in the Art section. See also Mandrill, located under Portrait and Wildlife in the Art section.